Pretreatment of lignocellulosic biomass results in the generation of a great number of inhibitors, which seriously hinder microbial growth and fermentation. Furfural, one inhibitor produced, can impede Aspergillus terreus growth and itaconic acid (IA) production. In this study, chemical mutagenesis was employed to improve the tolerance of A. terreus to furfural, with results showing significant improvement in A. terreus mutant strain growth rates, furfural degradation and reduction in IA production. Metabolomic analysis was applied to establish the underlying mechanisms of furfural tolerance in A. terreus. Differences in metabolic pathways were assessed between mutant and parental strains, when exposed to 0.5 g/L furfural, which induces significantly greater toxicity to the parental strain than the mutant strain. Results show that the higher activity of beta-alanine, glutathione and tryptophan metabolism pathways in parental strains can directly affect the cell content of NAD+, NADP+/NADPH and coenzyme A, which protect cells from furfural damage. Additionally, parental strain can protect cells against furfural toxicity by reducing lysine metabolism. This study identifies four metabolic pathways which are related to furfural tolerance in A. terreus. 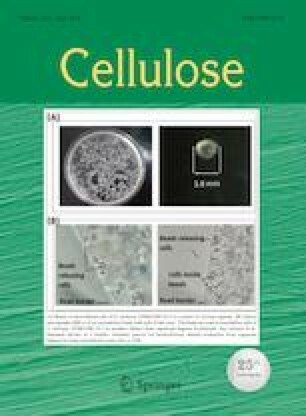 This work was funded by National Natural Science Foundation of China (21506215 and 21811530623) and Municipal Science & Technology Project of Guangzhou (China) (201804010081).